Mildred is growing up, a little at a time. In the last month, she’s done a lot better communicating what she wants with words instead of just crying until I figure out what she wants. 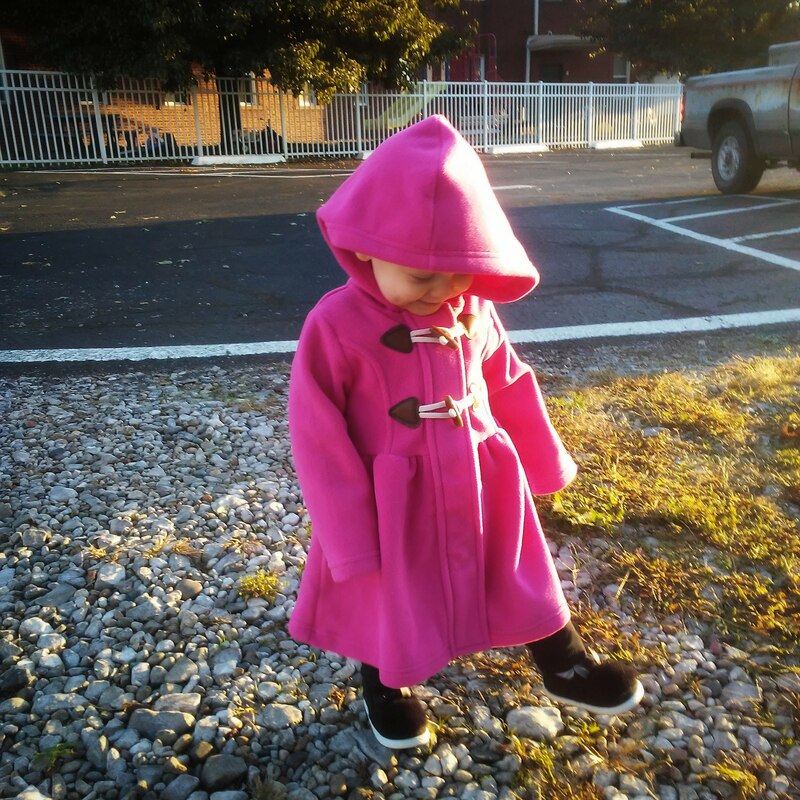 The arms are a bit long, but Milli loves her pink coat from Cracker Barrel. 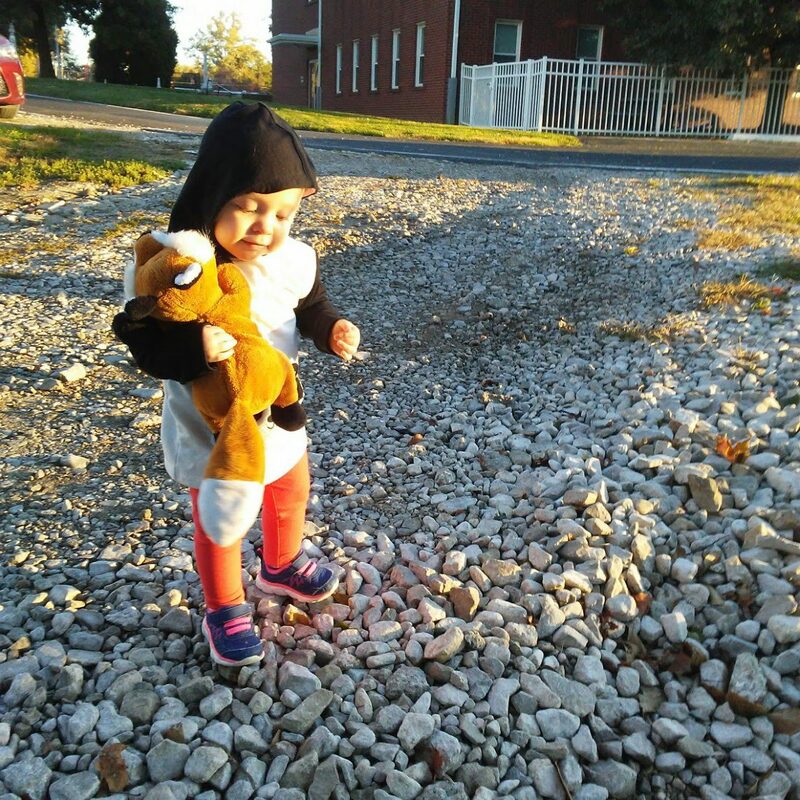 Sometimes she dresses as a panda. 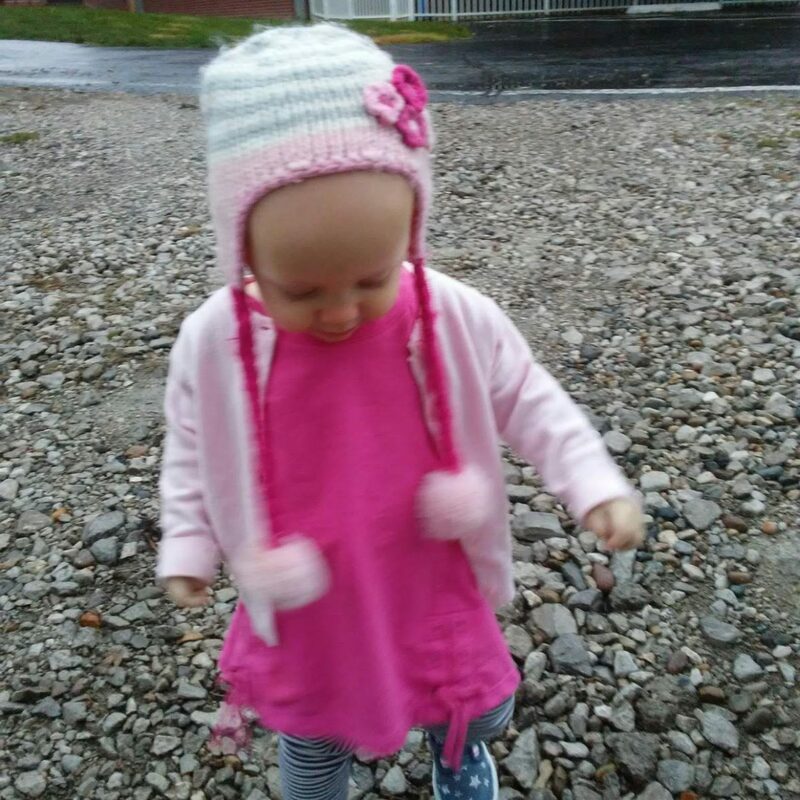 And her favorite color is definitely pink. 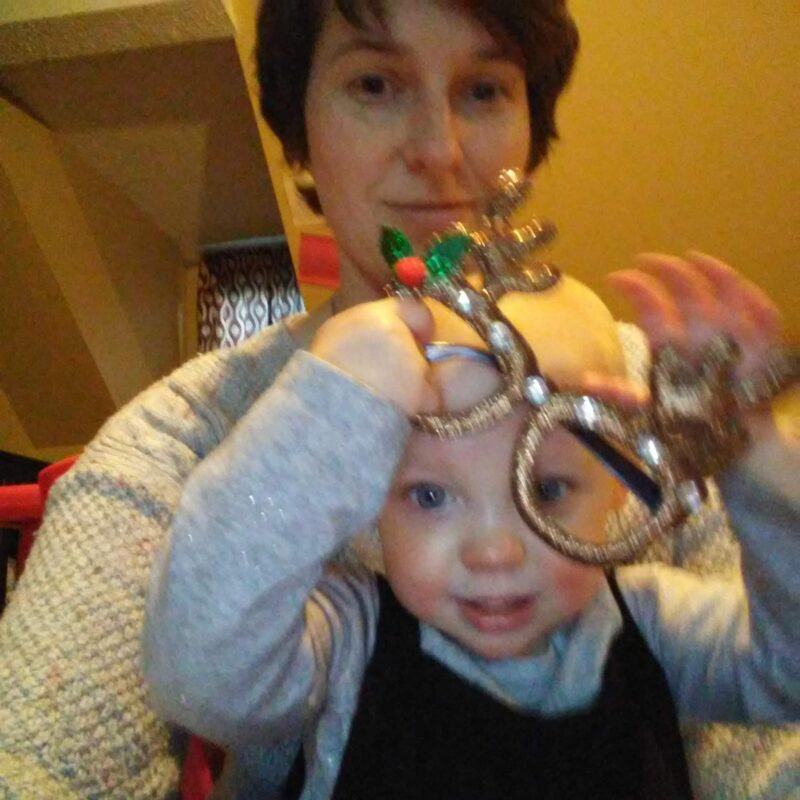 Milli loves to play with glasses, so we got a fun pair or reindeer glasses for her. I think Milli might be going thru a growth spurt, because she’s been wanting to eat constantly for the last week. 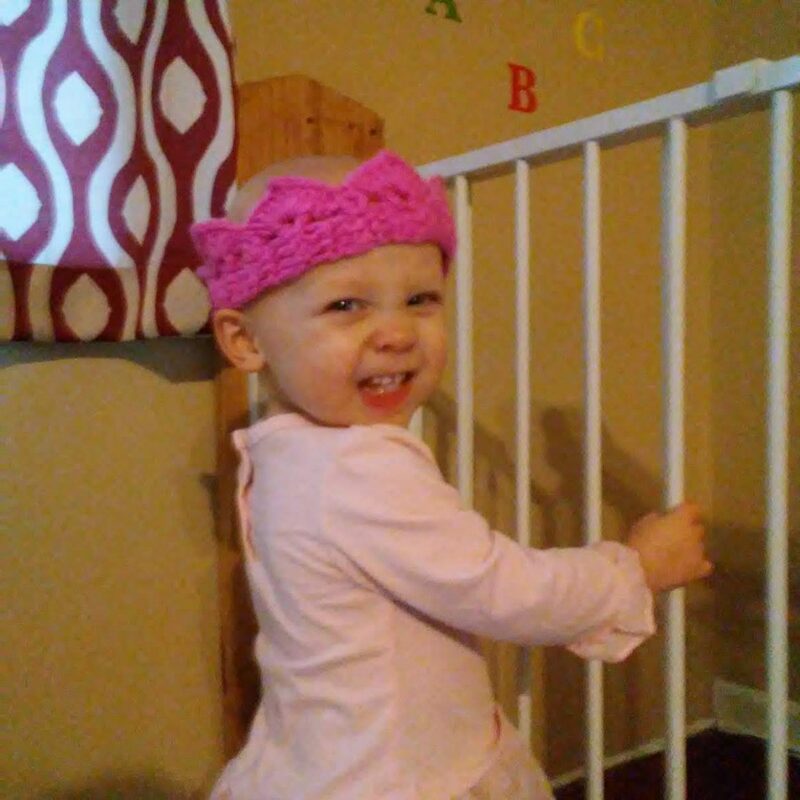 She is finally up over 20 pounds – a whole 21.4 lbs. – but she’s still only 29 inches tall. I checked with a yard stick over the weekend. 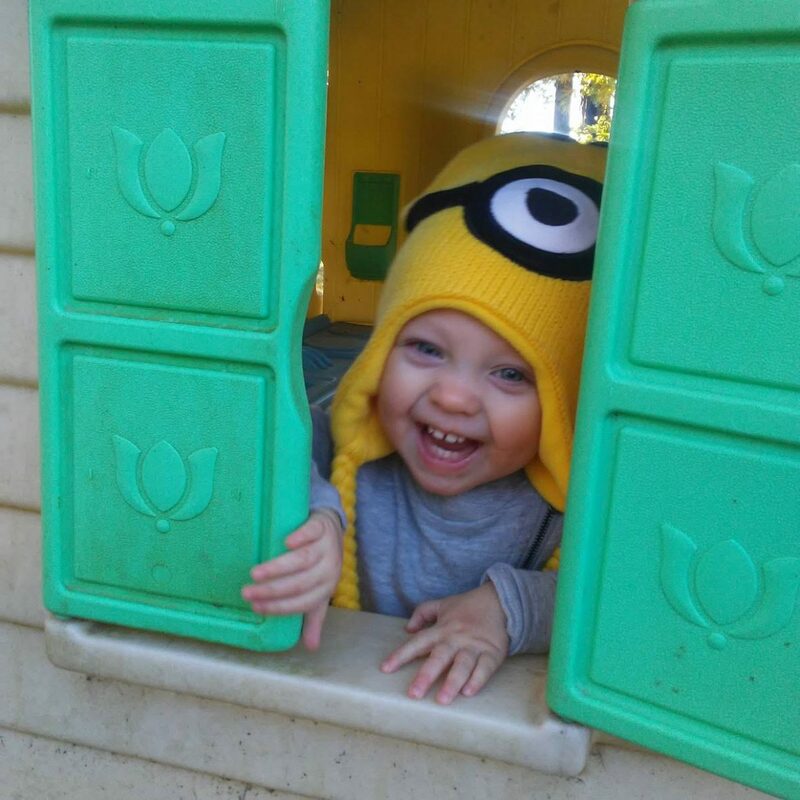 Milli made a great Minion. Milli had a lot of fun trick or treating. 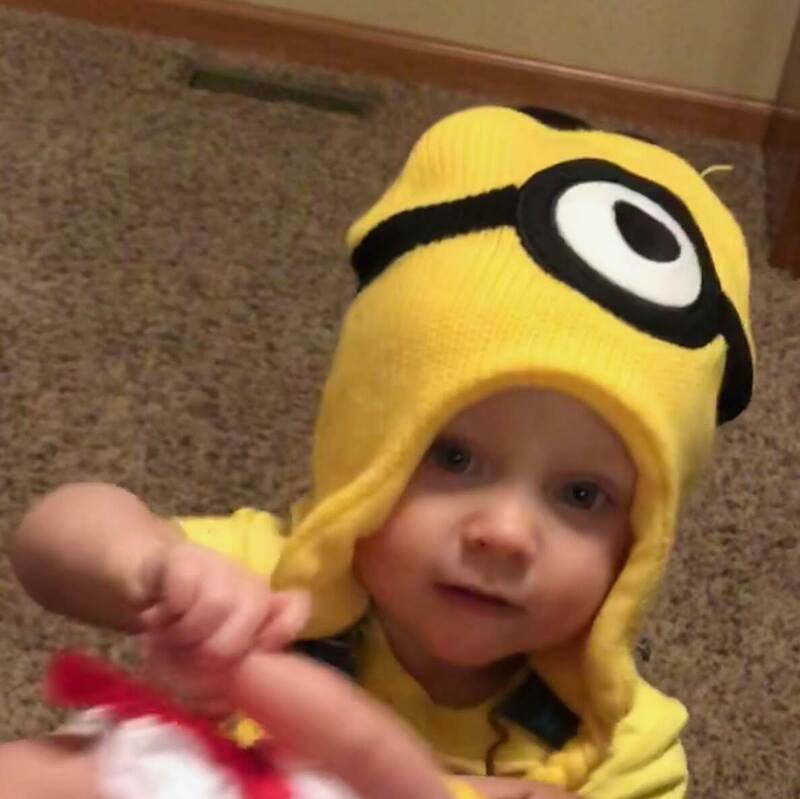 Thanks to grandma Hyneman for taking Milli trick or treating. 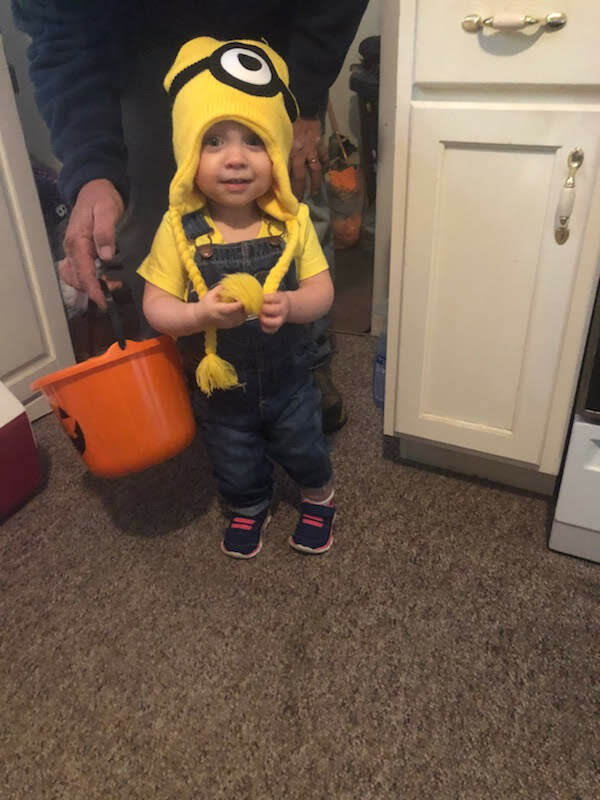 Mil went as a Minion for Halloween. She looked super cute in her costume, and can wear all of the bits from her costume again. She’s already getting lots of use out of the hat. 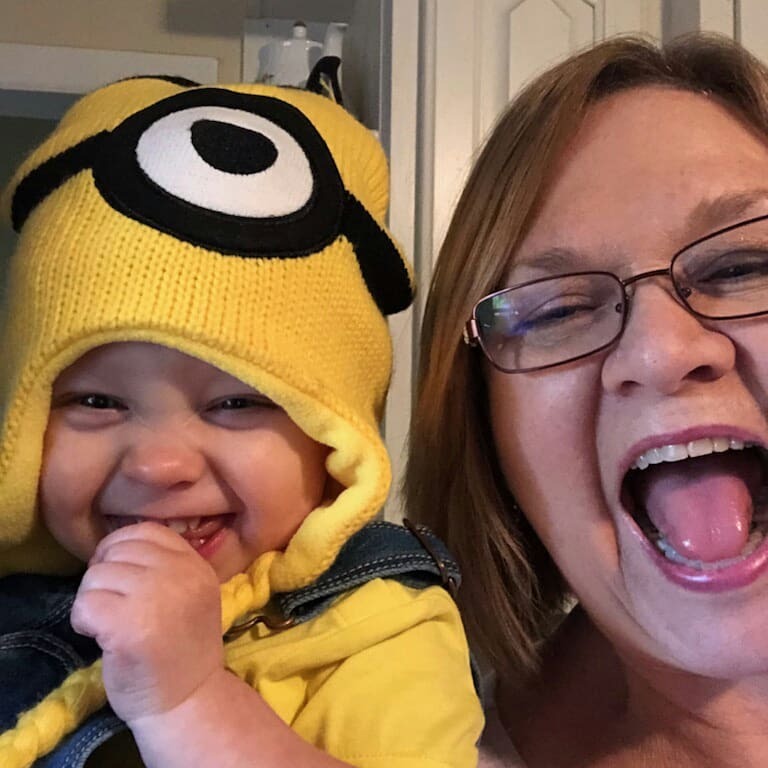 Mil enjoys wearing her Minion hat outside all of the time. Milli has also been wanting to help me in the kitchen. 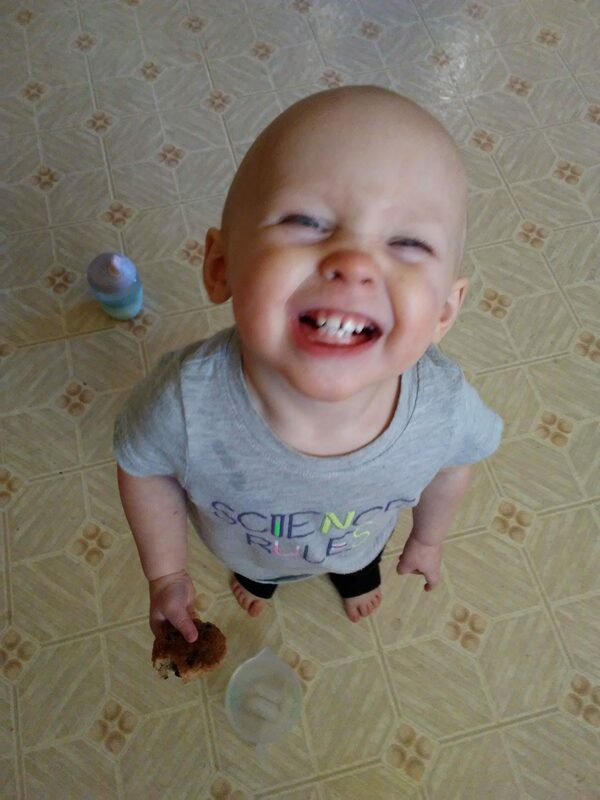 She even “helped” me make great-grandma’s Banana Oatmeal Cookies over the weekend. 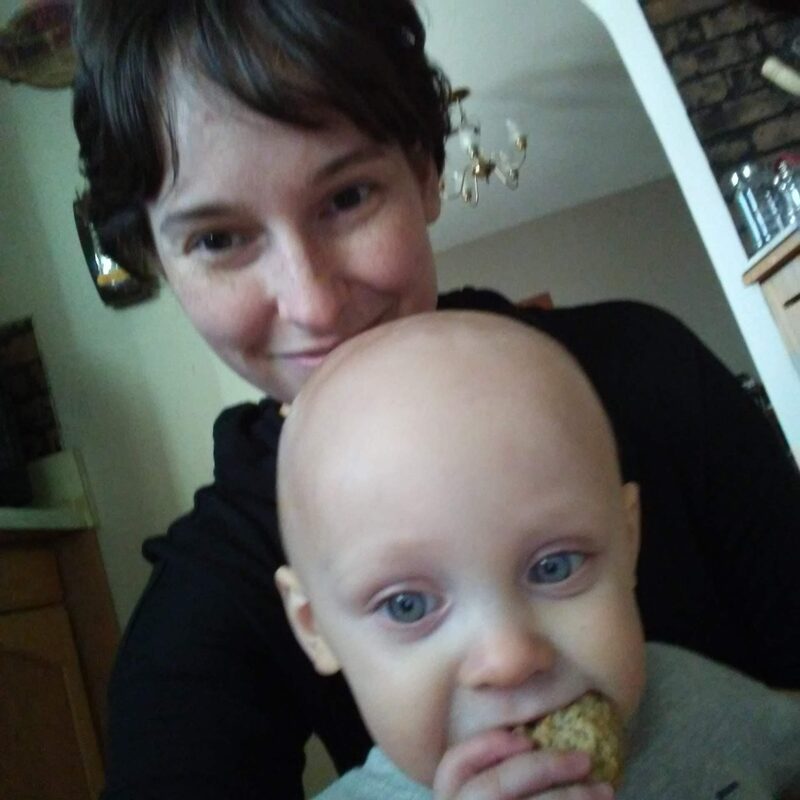 Milli loves banana oatmeal cookies. Also, baking is SCIENCE. She especially loves them when she gets to sit with mom.